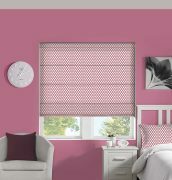 Roman blinds are the perfect way to add some luxury and elegance to your home. 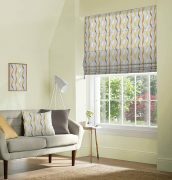 Available in a large range of soft fabrics from luxurious crushed velvet and faux suede to contemporary patterns. 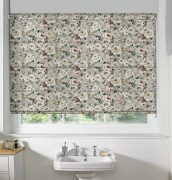 Roman blind are all lovingly hand made to measure. 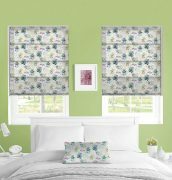 Co-ordinate these soft fabric blinds with your curtains, cushions and other soft interiors to add softness to your window, whilst also being perfect for shading and privacy. 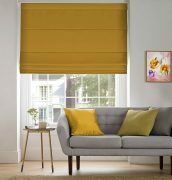 All blinds come lined with cotton satin lining as standard with the option of blackout lining also. 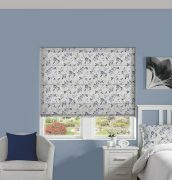 Our roman blinds now come with side winder control with a silver aluminium chain as standard, giving you ease of use, there is also the option to add motorisation to your roman blind to add that wow factor.